Looking for the ultimate in privacy, tranquility and convenience? This custom designed and built 4700+ sq. 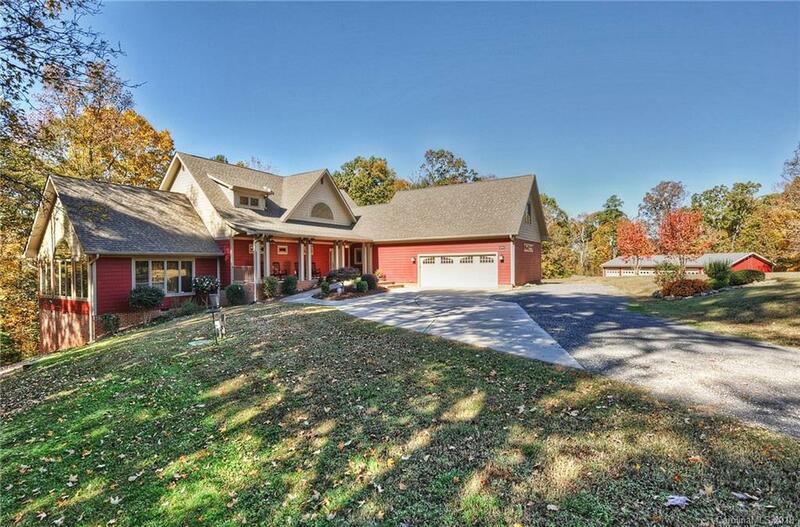 ft. Craftsman-style home is perfectly positioned on 37+ acres of hardwood forests, rolling hills, pastures, mandering brooks, a stocked pond and walking trails. You will feel like you are in the mountains but are only 20 minutes away from the airports and Uptown! Located on the outskirts of quaint downtown Huntersville, shopping, restaurants, recreational facilities and Lake Norman are only minutes away. The home includes over 2400 sg. ft. of unfinished space plus a six bay detached garage and barn. This slice of heaven is perfect for the car enthusiast, "gentle person" farmer, a family retreat or horse farm. Key features include two masters on the main, 2FPs, open floor plan, granite, Brazilian cherry floors, screened-in porch, decks overlooking woods, large office, library, huge laundry/mud room, exercise room & indoor 8x17' pool. This unique property is a must see!